Okay, Liesl over at disdressed told me about a place in SoHo that has Japanese fabrics (and don't think I won't be there right off the plane next time I go to New York [note to folks who work with me: I exaggerate here for effect]). 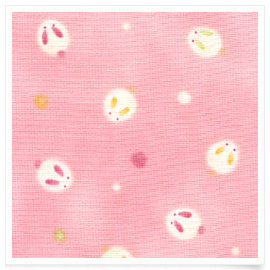 But I also followed a link to Kitty Craft, a website based in Korea which carries PAGES of insanely cute Japanese fabrics. How insane? There's about a page and a half of Anne of Green Gables fabric. (Yes, she's big in Japan.) 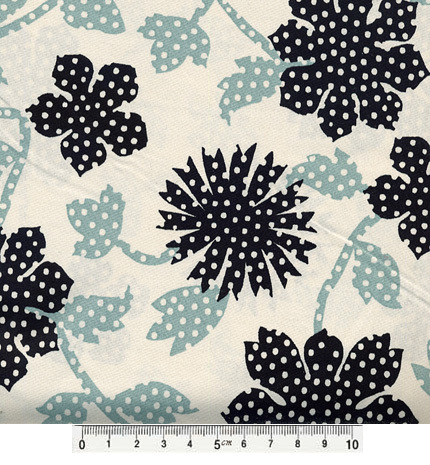 There is the fabric above, which I was heartbroken to learn I could not buy four yards of, because they didn't have four yards in stock (but then relieved when I realized what four yards plus shipping would cost). I didn't put this one full-size — that much cute can kill someone who's not prepared. It's like Houdini getting hit in the stomach. Some caveats about the site — all the fabric is sold in 1/4 yard increments. If you buy 1/2 yd or more it is sold uncut. (That is, you don't get two quarter-yard pieces.) It's Korea, so shipping is … high. Do join their mailing list, you get a discount you can use right away. And if a pop-up appears saying "Quantity is not sufficient", it's not YOUR quantity, it's theirs. Keep lowering your quantity desired until what you want and what they have match. And if anyone has a line on four yards of this stuff, or knows someone in Japan who can get me Japanese fabric wholesale to resell on this site … well, you know both my email address and my capacity for undying gratitude. Those fabrics are fabulous! I would buy stacks of them if I could afford it! Amen! I stumbled across Kitty a few weeks ago. I lust after Asian fabric!! I wonder if there are any cheaper wholesalers in California? Love the bunnies at first I thought they were ailens!! !Cute fabric.